LG's decision to pull back on its plans to make more Windows Phone handsets could be considered somewhat of a double-edged sword for Nokia. On one hand, it's one less competitor, but on the other Nokia's future rests very heavily on the overall success of Windows Phone and the more phone-makers pushing it, the better for everyone involved. However, Nokia America president Chris Weber says he isn't too worried by the LG snub, and says there are plenty of manufacturers still showing love for the innovative Microsoft platform. He told FierceWireless in an interview: "I see significant commitment from HTC, Samsung. I actually see increased momentum and commitment form a various set of OEMs on the platform." Last week, LG admitted that while it was not abandoning Windows Phone completely, it had no plans to release new handsets for the foreseeable future as it was too busy fulfilling the demand for Android. 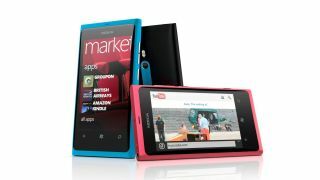 Nokia has been encouraged by sales of the Lumia 900 smartphone in the United States, which has certainly helped the perception of both the company and Windows Phone as legitimate alternatives to iOS and Android. Weber says the company will continue to push a host of Lumia-exclusive Windows Phone apps, like Nokia Drive and the ESPN Hub, while also attempting to woo the Verizon network in the US. He added: "Obviously, we're very aware of the importance of having Verizon in the fold and we're working on that." Verizon has previously said it will jump on board when Windows Phone 8 (Apollo) launches towards the end of the year.